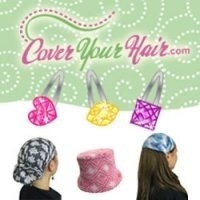 Just Call Me Chaviva: CoverYourHair.com Giveaway Winners! I really wanted to make an awesome video of me picking the winner of the CoverYourHair.com drawing, but, well, I've spent the past six hours grading exams, so I'm a little pooped. You'll have to forgive me, but I opted for the lovely Random Picker website, which will pre-randomize and pick as many random items from a list as you want! So wahoo for that! Mazal tov for being my lucky winner! Again, mazal tov to you both. Can you both CONTACT me with your mailing information so we can get your respective winnings sent speedily! Sometime in the not-so-distant future, I'll be rocking a book giveaway. I'll probably make it my pre-Pesach giveaway. Keep your eyes and ears open! Now to go mark all the grades down. Oy. Being a graduate student for a class of some 80 students is murder!